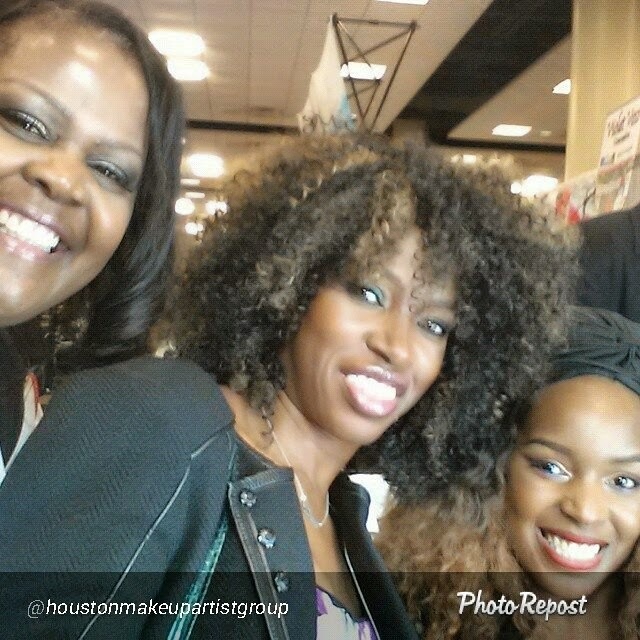 The Makeup Show took place on September 27 and 28, 2014 at the Hyatt Regency Dallas. 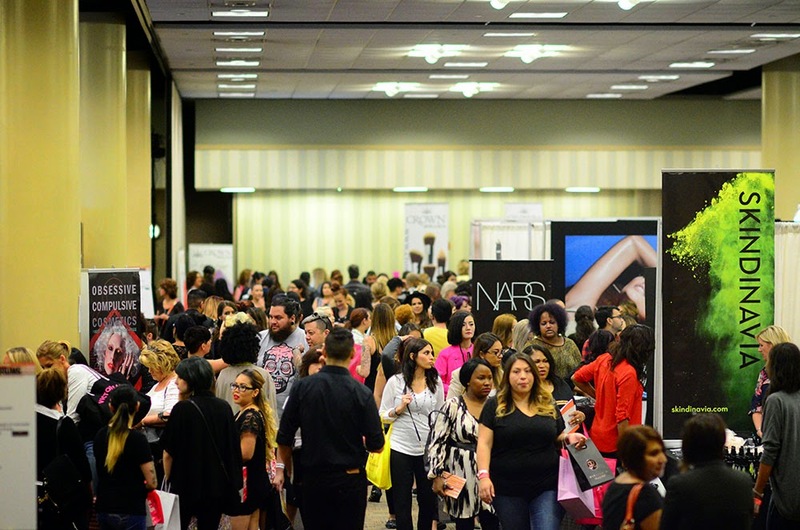 Nearly 4,000 pro artists, buyers, industry educators, press and retailers packed the house with some of the most iconic makeup artists who came together at what was said to be the LARGEST pro-driven beauty event in the South! 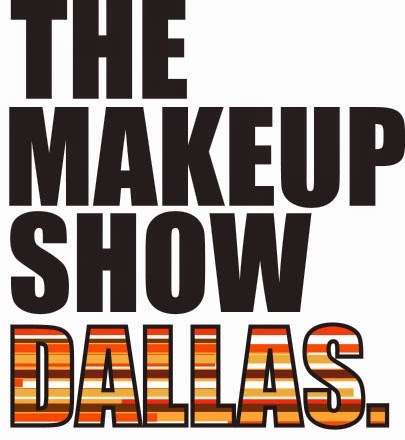 I had the opportunity to play a part in getting the word out as a Brand Ambassador for The Makeup Show and what a privilege it was and it was an awesome experience for me because for years I've dreamed of this moment. 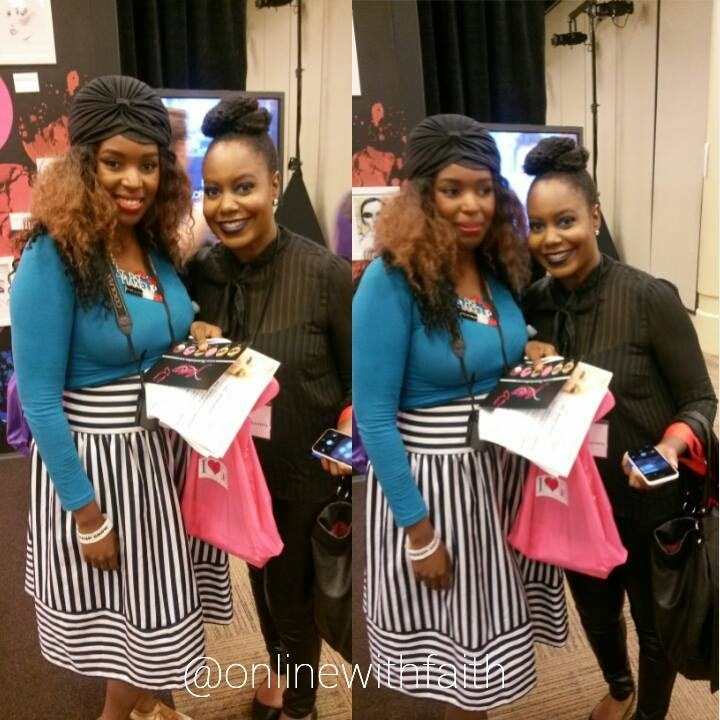 I also had the opportunity to cover the event as a beauty blogger. I will be bringing you inside and beyond and sharing my experience through a series of posts. I created a directory because although it's easy to do one post doing one post would do no justice and it would make it too long to read. I want you to enjoy as I have. So breaking it down was the best way to do this. Day 1 in Dallas was so beautiful. Clear skies, clear weather and LOADS of excitement built up. The anticipation of getting inside the building, seeing fellow artist, connecting with all the educators, networking, learning, growing, and SHOPPING! The house was packed filled with pro brands such as +Obsessive Compulsive Cosmetics , +NARS Cosmetics , +Skindinavia , +Crown Brush +MAKE UP FOR EVER OFFICIAL and many more. Some of the best parts of the show is the level of artistry. It's quite inspiring to see the start from finish and the time that is invested to create such art. It makes you appreciate the artist and their skill even the more. 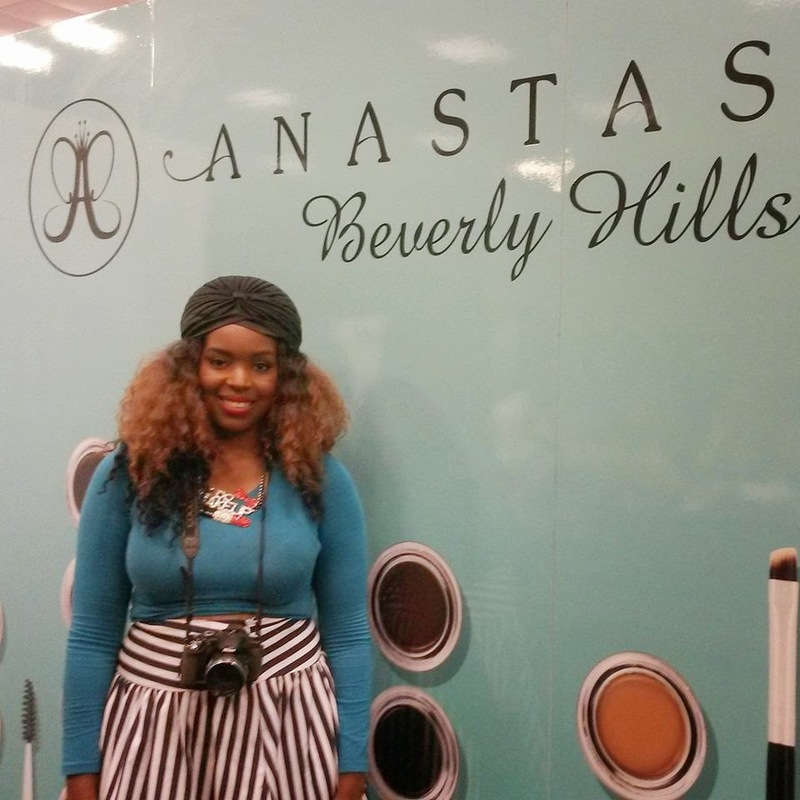 It's always great to see my fellow makeup artist and blogger +Beauty By Lerenda who was working the show at +Frends Academy booth with +AJ Crimson . Aj Crimson released a few new things at the show. One being the new compact foundation that are also very functional because the pans can be removed from the compact and refilled. He also released some new setting powders. I carry his line in my kit and swear by his products. It's always great seeing him and the growth of his company. +Aj Crimson was moving around a lot that day if he wasn't at the booth he was doing a class seminar. 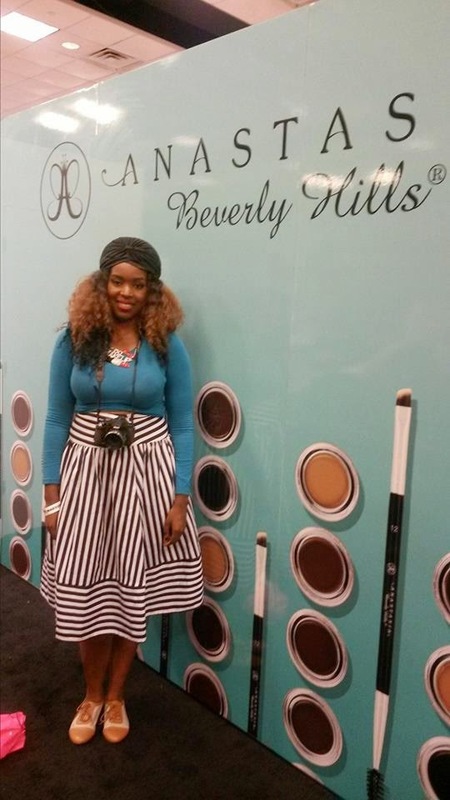 Also at the booth was +Cory Bishop of +Gorgeous Cosmetics at the Frends Beauty booth. I wasn't very familiar with his line but that's what The Makeup Show is about. A way to learn, grow and connect with different brands. It was truly an honor to learn more about his GORGEOUS brand! Gorgeous Cosmetics is a luxury Austrailian brand founded in Melbourne, Australia by award winning makeup artist David MxConnell. Their philosophy is about using makeup to create a simple but yet glamorous look that embraces your own natural beauty. The Gorgeous product ranged from an array of bases, lip and eye cosmetics, The cosmetics are enriched with anti-aging and healing ingredients such as chamomille, aloe vera and vitamin A & E. IT embodies quality to create a complete PRO makeup collection. +Gleam by Melanie Mills is another PRO new brand that I was unfamiliar with but I was eager to learn more about it. Nick did a demonstration of a perfect before & after using the gleam product. It gives a natural instant tan glow. I captured this image of the swatches of the different shades. For my pro makeup artist this is definitely something worth having in your kit. It gives that natural sunkissed glow. They have several shades in powder and cream form. I like the cream version better personally for me because it's less messy and it can be worked into the skin but it depends on your preference. I've used it a few times for shoots on the face and body. I also had the opportunity to visit Hakuhodo booth. +Hakuhodo is a company established in 1974 and is located in Kumano about 20km east of Hiroshima. Kumano is renowned for having manufactured Japanese Calligraphy brushes for about 200 years. There are more then 100 brush companies in Kumano producing 80% of the brushes made in Japan. Hakuhodo is one of the leading makeup brush manufacturers in Kumano that produces 500,000 brushes monthly. It also has been producing and providing high quality makeup brushes for many leading cosmetic companies and makeup artist brands worldwide as an OEM (Original Equipment Manufaturer) supplier. Through these collaborations, they continue to make the ultimate fude, the perfect tool. So what make these brushes different from many consumer brushes. Hakuhodo brushes are hand sculpted and assembled with the finest quality materials. The word fude (hoo-de) is a term they use for their brushes which means BRUSH in Japanese because their makeup fudes are different from other brushes, whose tips are cut. They do not rely on machinery to craft their brushes but on the traditional techniques of truly skilled craftsmen. One of these days I will be able to have these beautiful brushes in my kit because the fact of the matter is the right brush changes EVERYTHING! Other brand booths I had the opportunity to visit was +The Powder Group. It was great seeing +Michael DeVellis. Just a brief synopsis of The Powder Group & what it is and how it benefits the industry and the artist. 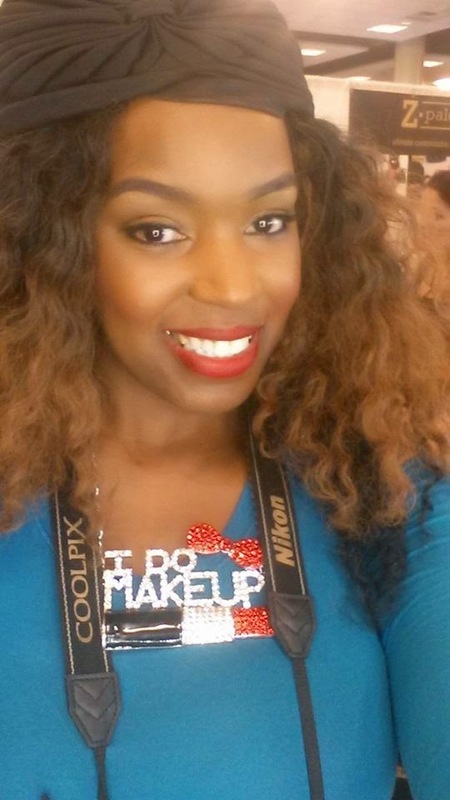 The Powder Group is a resource for all things makeup. They're community that creates and presents innovative events for makeup professionals and consumers who share the passion for the art of makeup. I always think of The Powder Group as a beauty portal with all the information you need about the industry. I've had opportunities through The Powder Group that I would have never gotten on my own at the time I got it. I've learned much through The Powder Group and the best part is the family you gain becoming a part of it. I love networking and feel you can never have too much family. They offer educational workshops and seminars throughout the year, they offer constant guidance, as a member you are added to the directory listen. It opens up endless opportunities. I also stopped by the ever so popular GLAMCOR booth! I got to see the popular light fixture and the new light vanity and had the opportunity to meet the man behind Glamcor Mr. Erik Kaiser. 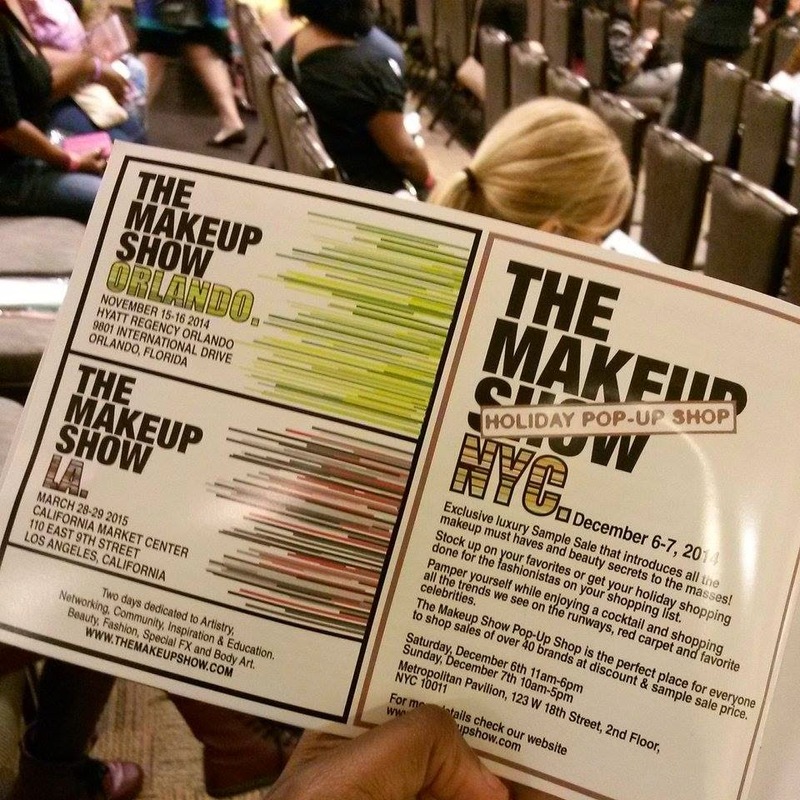 See this is what makes The Makeup Show what it is! Below is a snapshot of the new light vanity called "The Brilliant". It contains both cool and warm temperature settings that are embedded into the mirrow which will give you that perfect light setup when looking into the mirror. What does that mean? It means you no longer have to go room to room or outside to see what your hair color look like or what your makeup look like. We all know the best way to examine makeup is in natural light. This lit mirror is absolutely BRILLIANT and was developed for this reason. It's also great for camera purposes. For my youtubers set your camera in place and I guarantee you it will give the perfect light set up. To explain it each set of lights are dimmable so if you want more cool lights then warm lights ot more warm then cool you can control that by adjusting the temperatures if you want only cool lights or only warm you're able to control the setting which in my opinion makes this FAR better then the original glamcor light because the glamcor is a cool tone bluish white light. The only downfall of this is it's not as portable as the original glamcor light. Meaning you can't carry it on set with you like the original glamcor stand light but it is portable enough to move from station to station. It can also be hung on the wall if that's what you desire. Great for studio, salons and such. How BRILLIANT is that? I met these awesome ladies at the show they stopped me just to say hello and complimented me on my turban and conversed with me about some other things. Aren't they gorgeous! I go their input on the show and they were enjoying everything including the education. Hope to see them this year. Stopped by the +Static Nails booth and OMG I was so mesmerized! Static Nails also seen on New York Fashion Week is a nail company that develop luxury innovative unique and reusable nails. You are able to reuse , paint and pop these nails on and off JUST LIKE THAT. Like jewelry they are an accessory and can be shaped to your customized fit. I've stopped by so many vendor booths but it would be impossible to show them all without putting you to sleep. I will do a video recap on my new youtube page. I'm going to move on to the education because that's what The Makeup Show s about. SO I visited many workshops, seminars and more but only was able to capture glimpse of some. 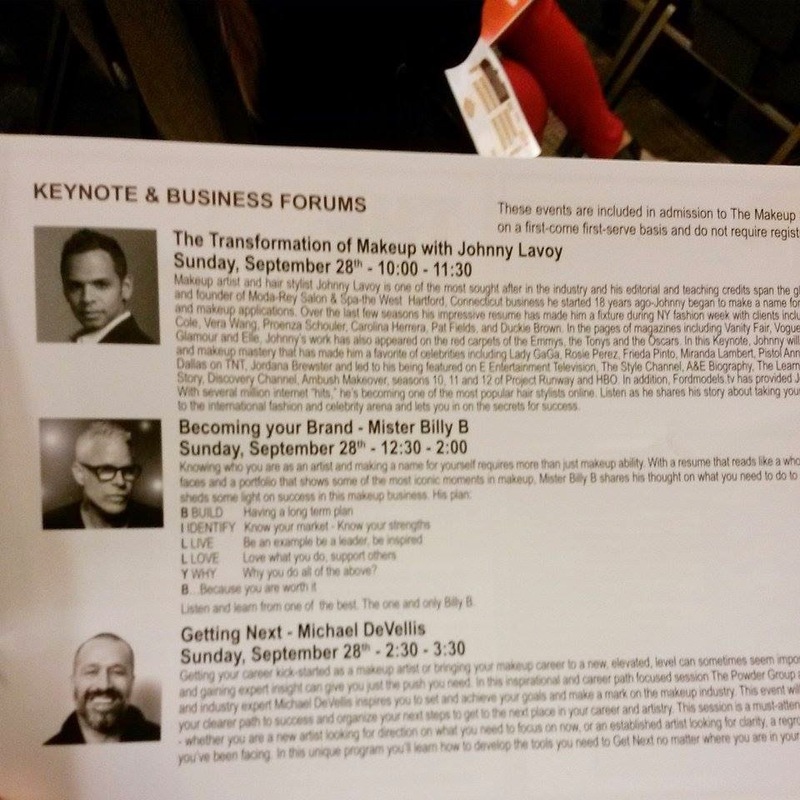 I sat through a few seminars one being @Johnny Lavoy who taught " The Transformation of Makeup" which you seen some highlighting, contouring, sculpting of face. It was quite educational and interesting to see the full transformation from start to finish on this male model. For more information about Johnny Lavoy check him out here and also check him out on YouTube. 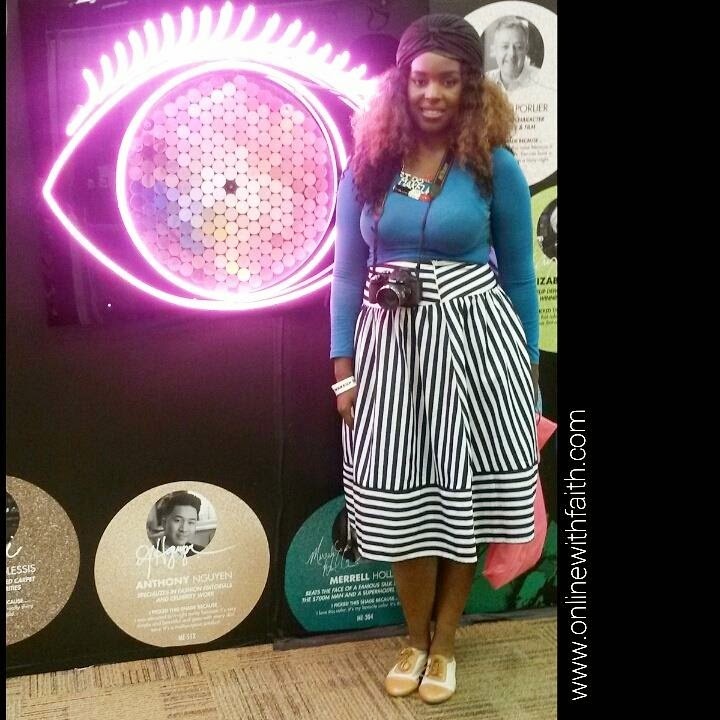 I have so many captures of different brands and educational seminars I went to but I can't put it all in this post. I urge the beauty industry to come out for 2015. It's going to be a brand new experience that you don't want to miss out on. Ran into DivaLesiLisa and Judy on the left corner! Taking a photo in from of the Make Up For Ever 30 Year Anniversary wall of eyeshadows. 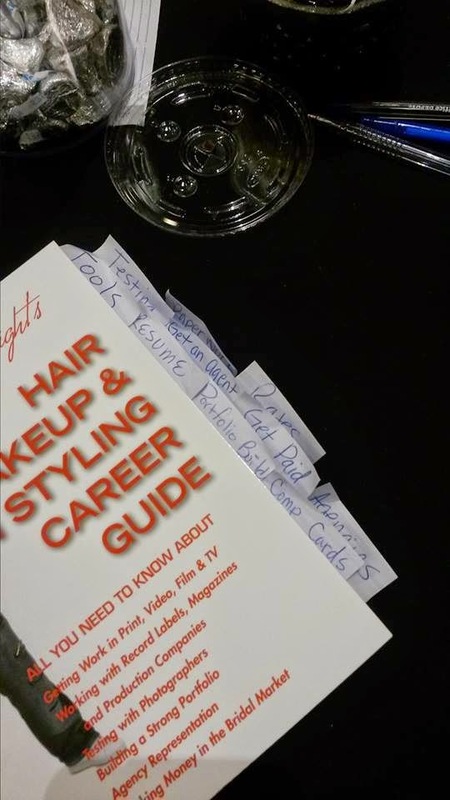 +Crystal Wright Career Guide! This Guide is for Makeup Artists,Hairstylist, Nail Techs anyone that works in the beauty industry can learn something from this book. I highly recommend it. I love how she sectioned off her book. Purchased this necklace from one of the vendor booths at the show! I DO MAKEUP! Look who I ran into! I been networking with this beautiful lady on facebook for years and she was working the show also with +Danessa Myricks . Great seeing you Lameka! 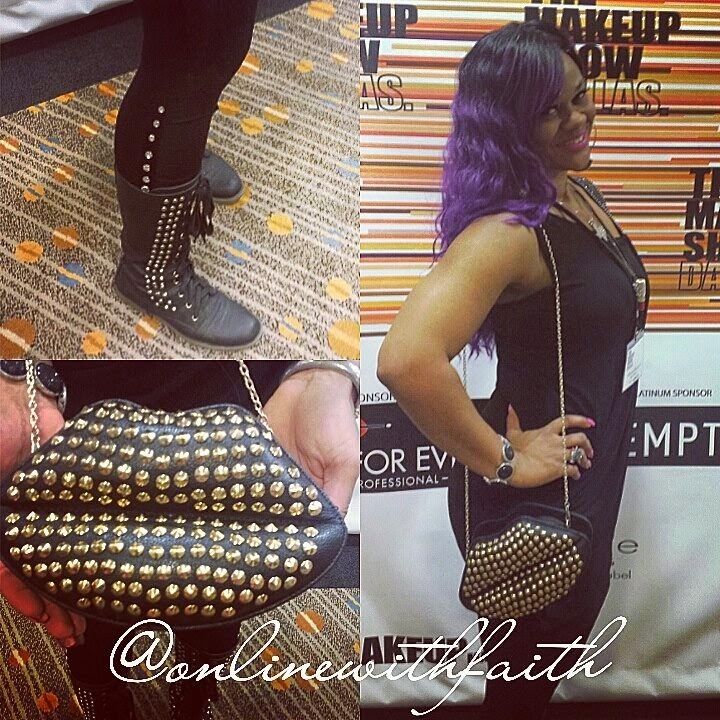 Check out +BeautyByLeRenda all studded out! Some of the keynote speakers! 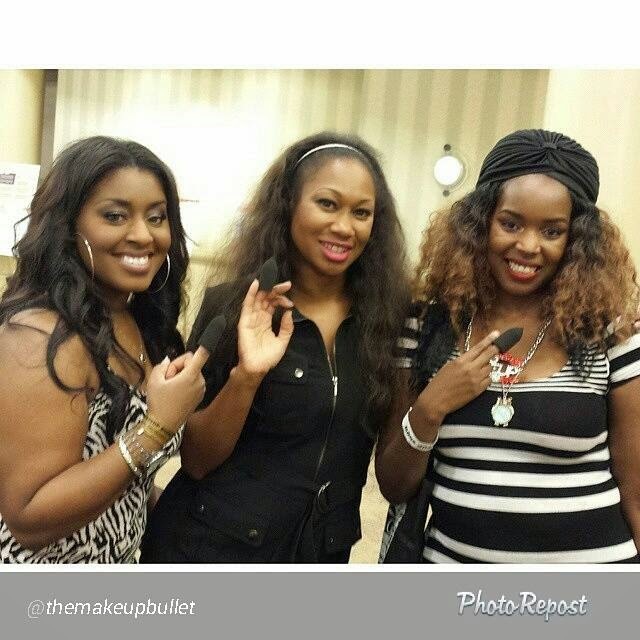 +FLUTTER Lash & Beauty BOUTIQUE was in the building! Don't forget to follow me on INSTAGRAM, FACEBOOK & TWITTER. I'm very active on instagram and facebook but more on instagram.